Country Full Name: Republic of Bulgaria. Location: Bulgaria is in South Eastern Europe, bordering the Black Sea, between Romania and Turkey. Country Climate: Temperate; cold, damp winters; hot, dry summers. Country Terrain: Mostly mountains with lowlands in north and southeast. Country Population: 7.6 million (2008 est.) 7.6 million (2009 est.). Country Economy: The economy of Bulgaria is an industrialised, open free market economy, with a large, moderately advanced private sector and a number of strategic state-owned enterprises. Country Inflation: 12.0% (2008 est.) 2.7% (2009 est.). City: Sofia is the capital and largest city of Bulgaria. City Economy: Sofia is the major economic center of Bulgaria and home to most major Bulgarian and international companies operating in Bulgaria. Sofia is also the country's financial hub. Cost of Living: Sofia has an overall cost of living index which equates it with low cost of living locations. The overall cost of living index is comprised of the prices for defined quantities of the same goods and services across all 13 Basket Groups. Sofia is currently ranked 200 overall, most expensive place in the world for expatriates to live, out of 282 international locations. Country Full Name: Sultanate of Brunei. Location: Brunei is in Southeastern Asia, bordering the South China Sea and Malaysia. Country Climate: Tropical; hot, humid, rainy. Country Terrain: Flat coastal plain rises to mountains in east; hilly lowland in west. Major Languages: Malay, English, Chinese. Major Religions: Islam, Buddhism, Christianity. Country Population: 0.393 million (2008 est.) 0.401 million (2009 est.). Country Economy: The economy of Brunei is small but wealthy with a mixture of foreign and domestic entrepreneurship, government regulation, welfare measures, and village tradition. Crude oil and natural gas production account for nearly half of its GDP. Substantial income from overseas investment supplements income from domestic production. Country Inflation: 2.7% (2008 est.) 1.2% (2009 est.). City: Bandar Seri Begawan is the capital and largest city of the Sultanate of Brunei. City Economy: The city produces furniture, textiles, handicrafts, and timber. Cost of Living: Bandar Seri Begawan has an overall cost of living index which equates it with low cost of living locations. The overall cost of living index is comprised of the prices for defined quantities of the same goods and services across all 13 Basket Groups. Bandar Seri Begawan is currently ranked 215 overall, most expensive place in the world for expatriates to live, out of 282 international locations. This report provides you with the rank of Alcohol & Tobacco cost of living indexes as at April 2010 for 282 global locations. The indexes are calculated using the prices for specific quantities of the same goods and services in each location, based on expatriate spending patterns across 13 broad categories (Basket Groups). 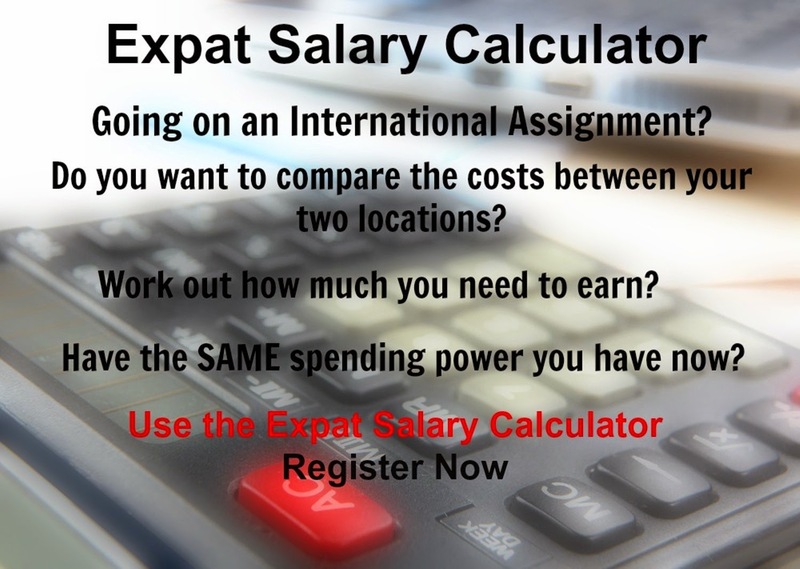 The calculators make use of the cost of living indexes, based on your input and Xpatulator's data, to create reports online which you can save, e-mail or convert to a pdf file.